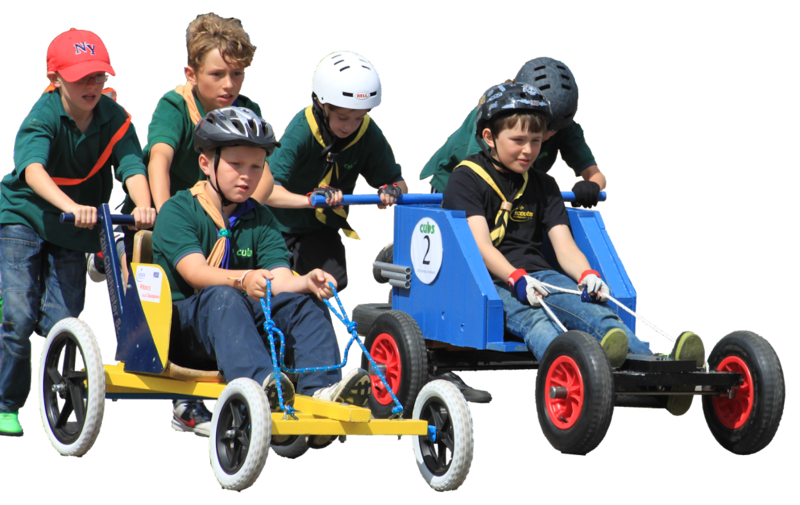 The UK’s number 1 CUB SCOUT Box Kart Championship ! Are your Cubs up for the 2018 Supreme ? This Championship has played hosts to packs from SEVEN counties and is open to any cub pack in the world. We welcome inquiries from any Cub Pack interested in the SUPREME– sponsors are confirmed (for the Seventh year), as the Woods Travel Group. We will be holding the 2018 Supreme Box Kart Championship on 30th September 2018, the venue is Goodwood Motor Racing Circuit. National Hot Rod Driver and Race Car 155 Lee Pepper. The Supreme Box Kart Championship is a totally open event and we would be delighted to hear from any Cub Pack from any District, County or Country. ALL cubs who race on the day will go home with a medal and a free colour programme. To enter, please go to the online entry form. Please be aware that entry is closed at the moment and won’t open until March 2018. For construction guidelines go to the Supreme Box Kart Rules and Regs page. A YouTube promotional video can be seen at https://www.youtube.com/watch?v=fr-NbC7Ux6o, for packs who have not raced at this event , it will answer all your questions. We will have a couple of karts that can be used on the day, first come first served. Please contact Stephen Bell (stephen@5thchichesterscouts.org.uk) for more details and to register your interest in the event.